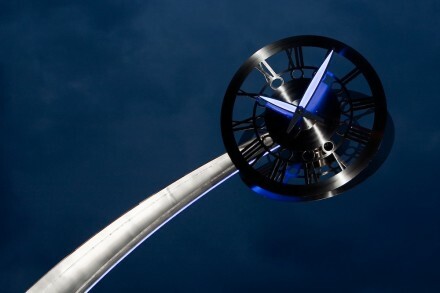 The gracefully curving column of this clock takes the form of a horse’s neck in acknowledgement of the Welsh name of Glyn Ebwy, or Ebbw Vale which means Valley of the Wild Horses. To reflect its name of Echoes, messages from the people of the town are incorporated into the column and the surrounding seating area. 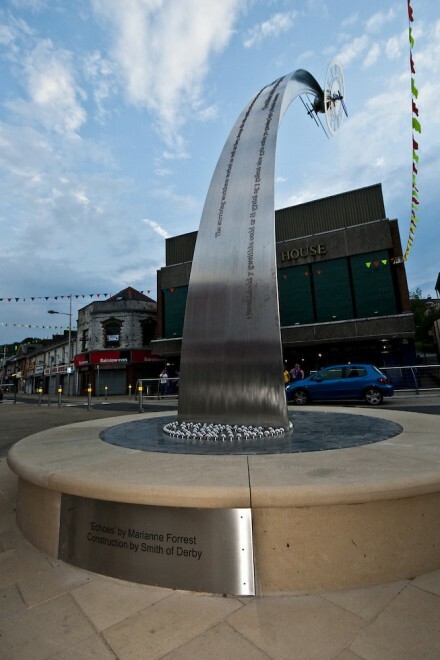 In further recognition of the heritage of Ebbw Vale, the dials appear as the winding wheels which were once a familiar site at coal mine pit heads, and the use of stainless steel provides a historical link with the steel industry. 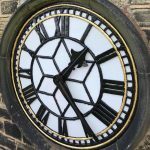 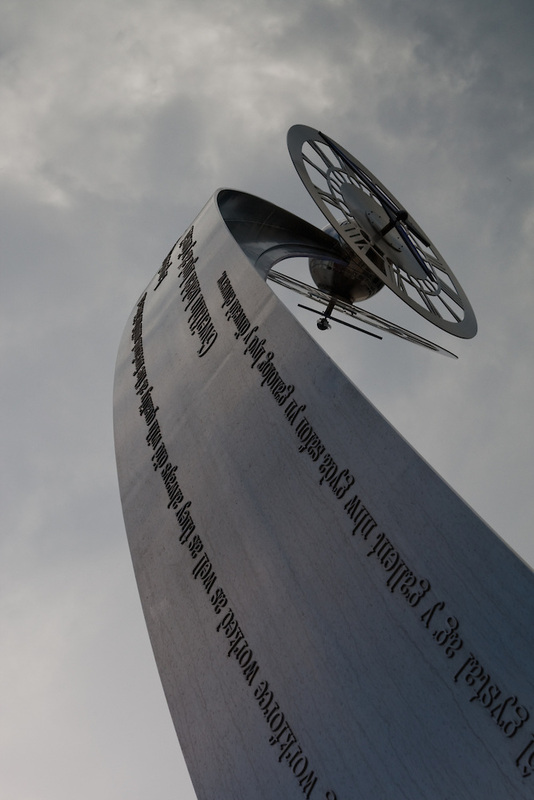 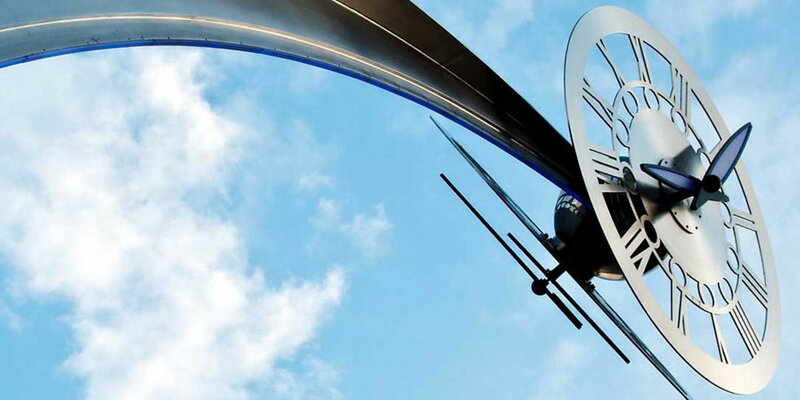 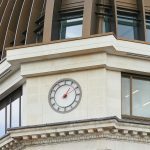 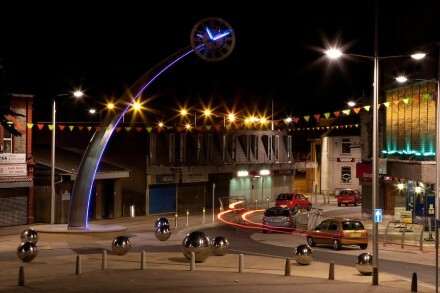 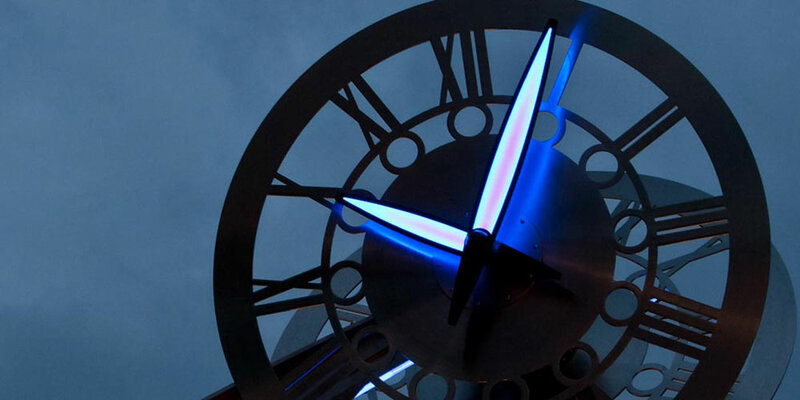 The clock was designed by artist Marianne Forrest in consultation with local people and businesses. 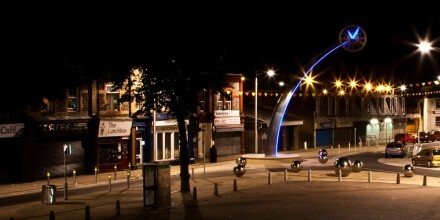 Smith of Derby provided the design engineering and partnered in the build, using advanced laser cutting techniques and including LED illumination.